This wild, male burrowing owl which was was not baited, called or otherwise enticed to come perched right next to me, gave me several opportunities to get some unique images. The owl decided I was nothing to worry about and picked up one leg as it gazed in my direction. Soon after, it relaxed its head and neck creating a crease of feathers under its beak, giving the otherwise grumpy looking character the appearance of having a smile. Often the deciding factor of whether the public and governments give money for wildlife conservation comes down to looks. Charismatic wildlife like bears, rhinos and big cats get a disproportionate amount of resources while birds, reptiles and amphibians, fish and the bottom of the barrel invertebrates struggle to even be noticed. 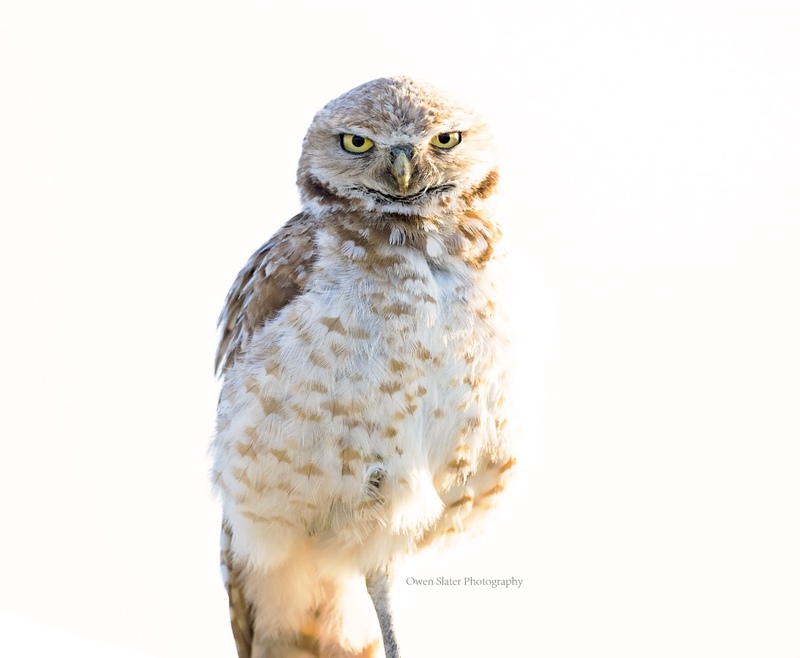 Here’s hoping that the burrowing owl, with all of its personality and character can get a federal recovery strategy to go along with its listing under the Species At Risk Act (SARA).